Does Tokyo Have the 2020 Olympics in the Bag? Reports suggest Tokyo is the frontrunner in the bid to host the 2020 Olympics. All it needs to do now is avoid blunders. 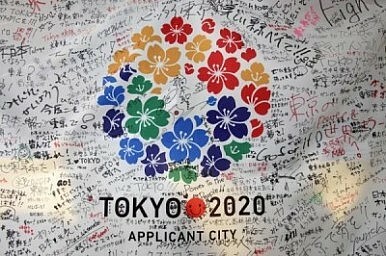 Safe and compact: these words, formulated in different ways, have become Tokyo’s mantra in its 2020 Olympics bid, which is heating up against rival contenders Istanbul and Madrid. Most recently, this refrain was repeated last weekend in Lausanne, Switzerland, before a general meeting of the Association of National Olympic Committees by Tsunekazu Takeda, President of the Japanese Olympic Committee and the Tokyo 2020 Bid Committee, as well as Rie Tanaka, a Japanese gymnast who competed in last year’s London Olympics. They also emphasized the city’s clean streets, beautiful skyline and even its friendly taxi drivers. In late May, Tokyo’s Olympic crusaders also pitched the city’s virtues at the SportAccord conference in St. Petersburg, Russia. If recent media reports are to be believed, “safe and compact” seems to be a winning combination when stacked up against the issues plaguing rivals Istanbul and Madrid. According to The Japan Times, high-level sources from the International Olympic Committee (IOC) who anonymously spoke to the paper have suggested that a win for Tokyo is nigh, assuming no gaffe that could botch the city’s chances between now and the IOC’s official announcement of the winner on September 7 in Buenos Aires. The no-gaffe proviso may seem simple enough, but when Japanese politicians and officialdom are involved, it is in fact a fairly big ask. Tokyo got off to a good start with its 2020 bid. “We have been hugely impressed by the quality of the bid presentations made by the bid committee. Across the board, they have just been excellent,” IOC vice president Craig Reedie said during the committee’s visit to the Japanese capital in March. So far, so good: or so it seemed. Fast forward from that first IOC visit to early May when Tokyo governor Naoki Inose made comments deemed offensive to the Arab world. In the days that followed things were touch and go for Tokyo. After Inose unequivocally apologized and president Takeda issued a statement further driving the extent of repentance home, a huge collective sigh of relief came when the IOC forgave Inose and assured Tokyo that the city would not be penalized for the comments. The pendulum then swung dramatically back in Tokyo’s favor when riots broke out across Turkey after police cracked down on a campaign to save Gezi Park on May 31. Though many have speculated that the crackdown has dealt a “big blow” Istanbul’s chances, the city’s bid leaders were quick to claim that the riots would not diminish the city’s chances. Whether this proves true will not be known until September. But for the moment, Turkey’s unrest, combined with Madrid’s economic crisis (Spanish unemployment is 27 percent), seems to have tipped the scales back in Tokyo’s favor. It seems that the bid is Tokyo’s to lose. The biggest challenge now is to avoid making any other gaffes – about which Takeda has warned his colleagues on the Olympic Committee. As momentum builds, Tokyoites have warmed to the idea of the games as well. Compared with the tepid public response to Tokyo’s 2016 bid, a stroll around Tokyo at the moment quickly reveals that the Olympic spirit is in the air. Signs emblazoned with “Tokyo 2020 Candidate City” are plastered on train station walls, while local news reports give a blow-by-blow account of the ongoing bid. In the end, support outweighs opposition, with 77 percent of the public backing the city’s bid as of late March. And the city is ready with a government fund of $4.5 billion to make it happen. There are still a few more presentations to go, during which officials must carefully choose their words. But all in all, things look good for Tokyo.